I am delighted to say that Huff and Puff Construction is now an accredited Living Wage employer! 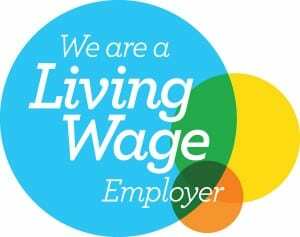 You can read all about the Living Wage on the website here – and you can find us listed on this page. Paying employees a living wage makes sound business sense and, as an ethical business, this was a natural step for Huff and Puff Construction to take as we took on Tom Mackenzie this summer to help with the Sherborne ArtsLink Art Cabin project. 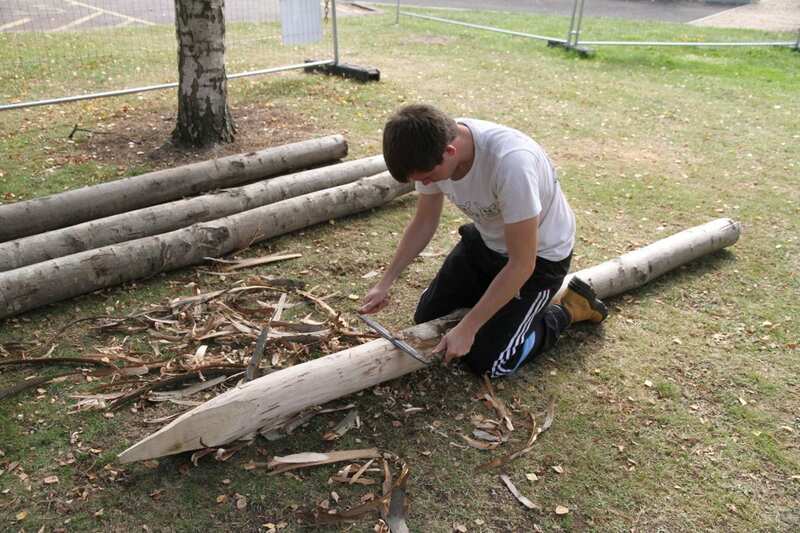 Having just finished college and embarking on his adult working life, Tom is enjoying learning lots of new skills in natural building. 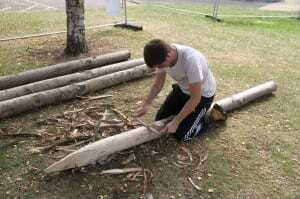 Tom using a drawknife to remove bark from the chestnut posts. Did you know the current minimum wage for an apprentice is just £2.68 per hour? How people are supposed to live on that, I don’t know. Rather than pay Tom such apprentice rates we are paying Tom a Living Wage, and in return he is applying himself wholeheartedly to the job at hand. Employers have a responsibility to their employees to pay them enough to build a life on – and the national minimum wage falls far short of letting anyone, young or old, achieve this.